Start with a plain pizza and add your choice of toppings from our list of fresh ingredients. Allow extra baking time for our authentic Sicilian (thick) Crust. As you like it! 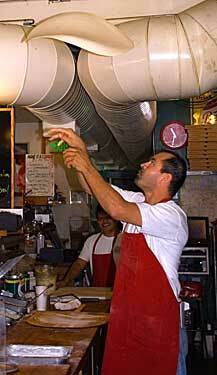 All of our pizzas are hand tossed and made to order. 12 Inch Cheese & Tomato Sauce Pizza with your choice of toppings.